With the Super Bowl just around the corner you'll want some delicous and hearty food to satiate your own team. 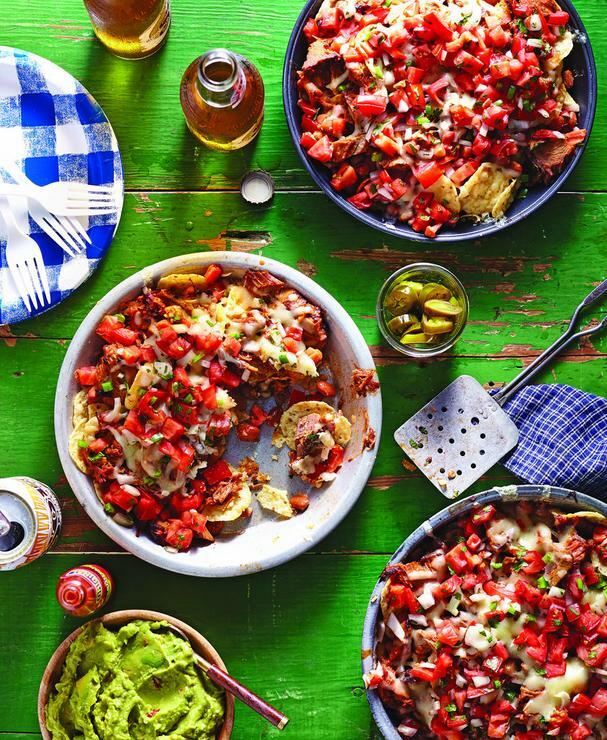 Nachos are the perfect football food (well, they're just plain perfect, really) and these scrumptious smoky brisket Cowboy Nachos from cookbook author Matt Moore score big time. This recipe is from his latest book The South’s Best Butts, which features recipes from the South's most revered pitmasters. Crack the spine and you can almost smell the smoke, hear the crackle of wood, and the sing song of juices hitting fire. You may even find yourself licking your fingers just reading about ribs. Moore goes beyond just recipes and examines the connections between meat, method, and sauce across the South and how each varies according to culture, climate, ingredients, and wood. Make note, this is certainly not a diet book - you will get your pork on! And love each delicious moment of it. 3. Divide the chips, bean mixture, brisket mixture, cheese, and 1 cup of the Pico de Gallo among 3 pie plates. 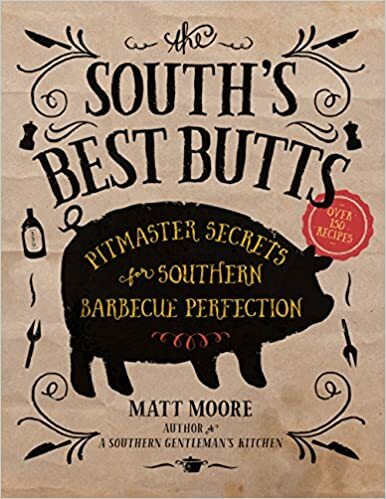 Excerpted from The South’s Best Butts by Matt Moore. Copyright © 2017 Oxmoor House. Reprinted with permission from Time Inc. Books, a division of Time Inc. New York, NY. All rights reserved.